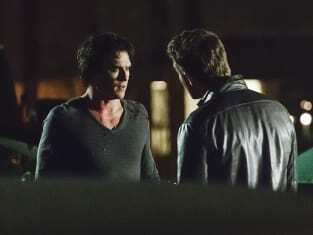 Stefan is trying to talk some sense into Damon in this Vampire Diaries scene. The latter is affected by The Phoenix Stone. 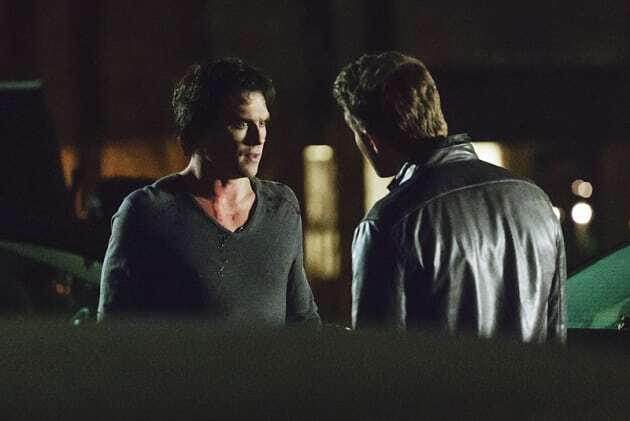 The Vampire Diaries Season 7 Episode 12: "Postcards from the Edge"
You know, we’re not meant to like each other, you and I, so thank you. Permalink: You know, we’re not meant to like each other, you and I, so thank you.